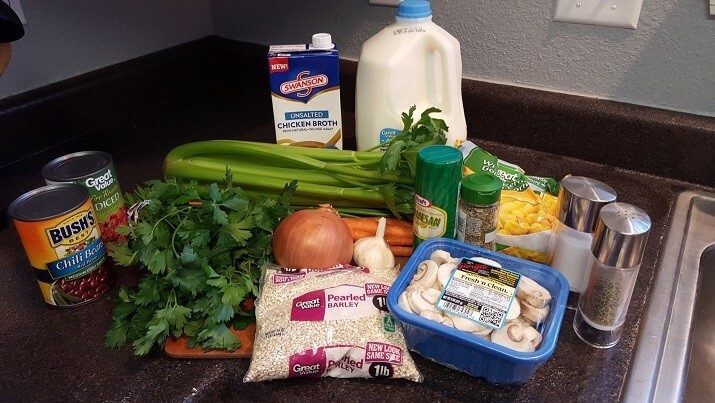 Guest Blog: Creamy Vegetable Barley Soup | Winners Drink Milk! By Lindsey, a registered dietitian working as an outpatient dietitian in the Indianapolis area. The air is crisp and the leaves have fallen. Perfect weather to warm up with a bowl of soup! Soup is great for so many reasons. It’s a whole meal in itself, so you don’t have to worry about making sides. It’s fairly simple to make, and better yet, you only have to get one pot dirty. That counts for a lot in this fast paced world. 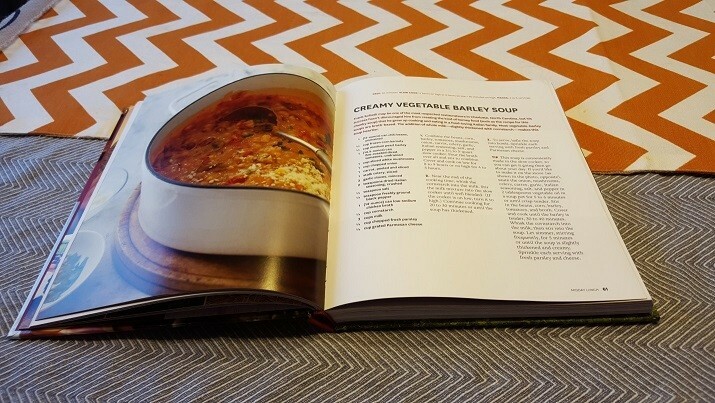 I recently stumbled upon this fantastic soup recipe that I think you will love. 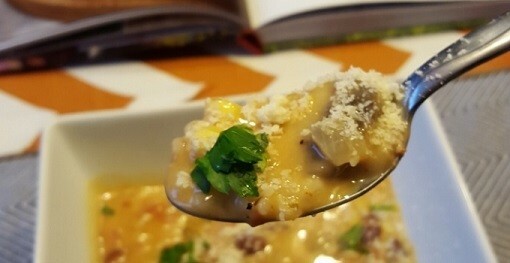 It’s loaded with vegetables, it has a creamy texture but is low in fat, and it has barley in it which gives it a great texture. If you don’t care for the vegetables you can easily swap them out for some that you do like. Or if you dislike barley, you can choose a different grain, such as quinoa or bulger. That’s another great thing about soup. You can change up the ingredients to suit you and your family pretty easily. 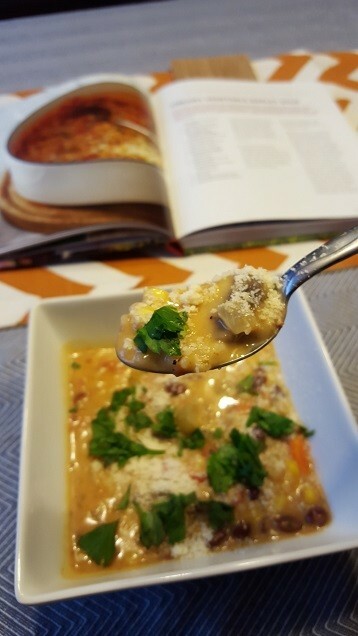 This recipe came from The Dairy Good Cookbook by Lisa Kingsley. I like to gather my ingredients ahead of time to make the cooking process as smooth as possible. Sauté the onion, carrot, celery, garlic, mushrooms, and spices in about 2 tablespoons of oil. At this point your kitchen will fill with a delicious aroma that will only get better. While sautéing I gathered the ingredients I would need for the next step. After 5-6 minutes of sautéing, add the beans, corn, barley, tomatoes, and broth. Stir it up then cover and cook for 30-40 minutes. This is a great opportunity to clean up the mess you’ve made so far. Prepare your 3 cups milk and ¼ cup corn starch. Whisk together to form a slurry. Once your barley is tender you can mix the slurry into your soup. It smells delicious! Let it cook another five minutes until the soup is slightly thickened and creamy. Stir frequently! The recipe calls for parsley and parmesan cheese as a garnish on top. It really adds a great flavor to the soup. This soup is a delicious way to get in lots of nutrients. You’re getting fiber from the vegetables, beans, and barley. The beans are also a great source of protein. And the milk and cheese provide calcium and vitamin D. I found this dish to be even better the second day. So if you have leftovers they won’t go to waste! According to the recipe calculator on MyFitnessPal.com each serving of this dish contains 242 calories, 46 grams of carbohydrate, 2 grams of fat, and 12 grams of protein. 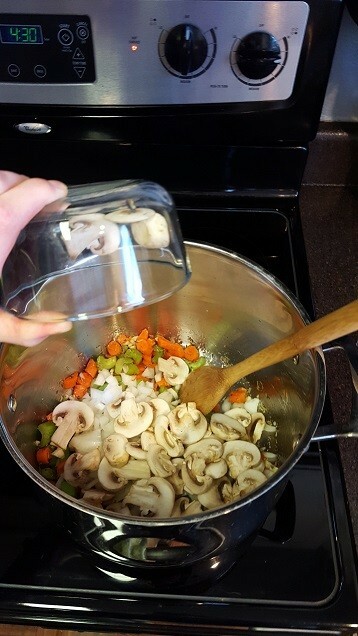 Sauté the onion, mushrooms, celery, carrot, garlic, Italian seasoning, salt, and pepper in 2 tablespoons vegetable oil in a soup pot for 5-6 minutes or until crisp-tender. Stir in the beans, corn, barley, tomatoes, and broth. Cover and cook until the barley is tender, 30-40 minutes. 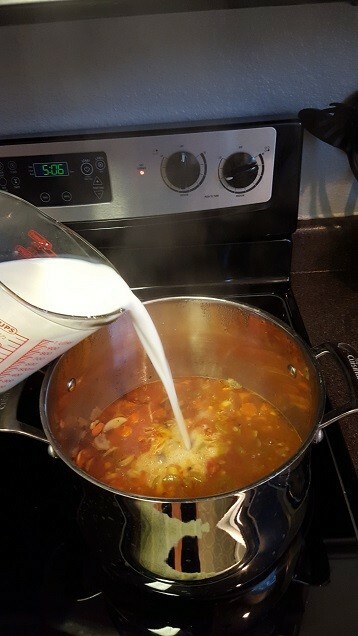 Whisk the cornstarch into the milk, and then stir into the soup. 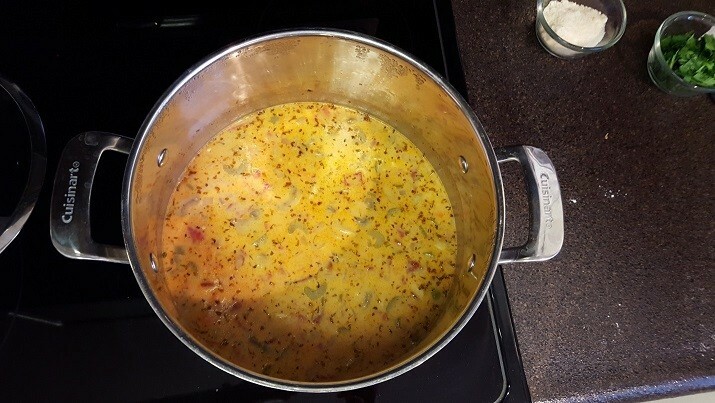 Let simmer, stirring frequently, for 5 minutes or until the soup is slightly thickened and creamy. Sprinkle each serving with fresh parsley and cheese.